The Austin American-Statesman published an obituary on November 12, 2017. Bob Breihan will be remembered by those of us fortunate enough to know him in the ‘60s and ‘70s as the director of the Methodist Student Center, a vibrant home to peace and social justice advocacy and a multitude of cultural events. The Center housed Ichthus Coffee House, Sattva Restaurant, and the Latin American Policy Alternatives Group (LAPAG). Bob Breihan, an ardent defender of civil, human, and gender rights, provided both draft and birth control counseling. 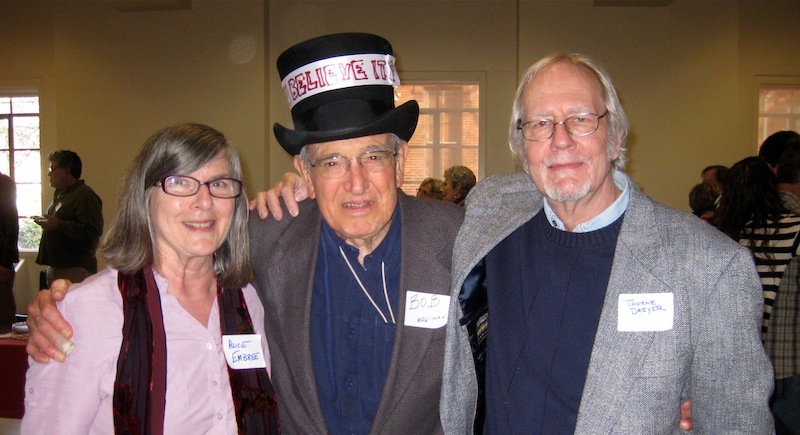 The following account by The Rag Blog‘s Alice Embree was first published on January 7, 2015, on the occasion of Bob Breihan’s 90th birthday party. Carlos Lowry / The Rag Blog. AUSTIN — Rev. Bob Breihan sported a black top hat — with the words “Can you believe it?” — at a party held for him on Sunday, January 4, 2015. A large gathering of family, church colleagues, and long-time friends came together at the University Methodist Church in Austin to celebrate his 90th birthday. and me in our backyard. The Methodist Student Center, like the University Y in Austin, made space available for an alternative view of the world during a period of tremendous upheaval during the ‘60s. Faith communities continue to be powerful allies on the front lines of many local struggles — for immigrant rights, Palestinian rights, and LGBTQ rights, to name a few. The courage of faith leaders like Bob Breihan continues. This entry was posted in Metro and tagged Alice Embree, Austin Activists, Austin History, Methodist Student Center, Metro Bloggers, Obituaries, Rag Bloggers, Rev. Bob Breihan, Sixties, Social Justice. Bookmark the permalink. Sincere sympathy wishes to Alice, Carlos, Thorne, and all in your community who mourn the loss of Rev. Breihan. Bob was a dear friend and colleague who worked side by side with the workers at the People’s Free Clinic in the basement of the First Congregational Church as we struggled to provide problem pregnancy counseling and referrals for safe abortions. He could be counted on to support those most in need of quality and compassionate health care. He was a visionary with great strength to support his many causes. Our community is a better place because of Bob. work. Condolences! I know he meant a lot to you and Chris, and many others. I had the privilege seeing him a couple of times at your place. He was a class act. He made a difference. The Icthus and the Meth were central to the social life of the emerging hip community for a long time, and Bob was always a wise and patient guardian of this resource as well as shepherd of his flock. “Hippy bands” played there when Austin night clubs still shunned the weird crowd. There were summer plays and other activities during the long dull months when the town was half empty. George read “Pooh” there. Kenny Parker was playing flamenco the night George and I actually got together for the first time. The Free University of Austin held classes there in during, if I remember correctly, 1966-67; I read Camus for the first time and was blown away. Radical grad students taught most of the classes and I can visualize the philosophy grad who taught the Camus class but can’t quite come up with his name. 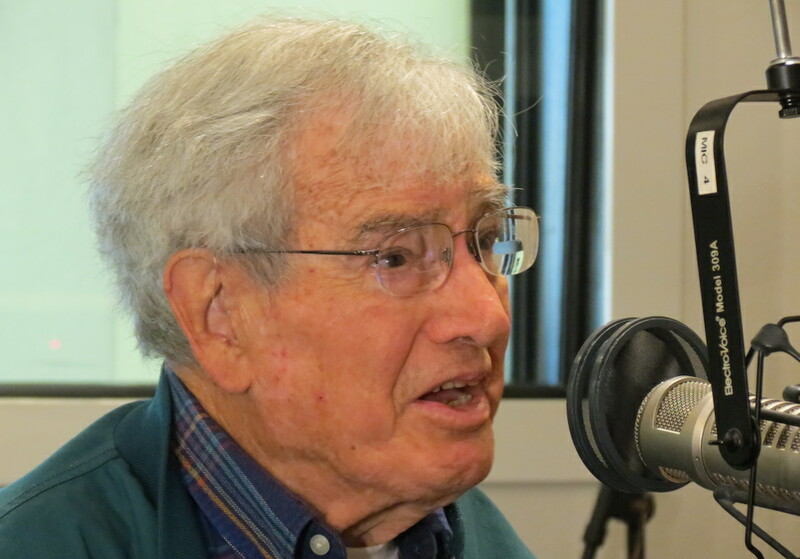 Through it all, Bob Breihan was never obtrusive, never preachy, never pushy or self-righteous. He was just a very natural, generally relaxed guy who was genuinely interested in people, life, and the roots of happiness and inner peace. He had a great life, and I’m so glad I knew him! RIP, Bob — to everything there is a season, and a time for every purpose under heaven.